My daughters don't often read this blog, unless it's a funny family story or something about the cat. But I hope they will read this entry because it is addressed especially to them. Dear Agnese and Lucia (and Teresa and Josefina, when you're old enough to understand), I am putting into words here a small piece of what I hope you are learning from our home and from the way we live, from the witness of others in our community, from the life of the Church, and from the Holy Spirit who speaks in the depths of your hearts. It's just a few small words, but as I watch you grow into young women I have an urgent desire for you to know more intimately the beautiful tenderness of The Woman who will lead you to discover your dignity and your tremendous value as women human persons: the courage, tenacity, and solicitude of your femininity, and the greatness of your vocation. I write this as a blog post because I would also like to say this to every young woman, and to every woman of every age who longs to know why God made her. Your identity is very precious to the heart of the Mother of our Lord. Jesus wants you to have a very special woman with you on your journey to eternal life, a woman to be your companion, your most attentive and most faithful friend. Isn't that GREAT??? It is His mother, Mary. She will help you to grow to become a great woman, to become the particular feminine human person that God wills you to be in His wisdom and love. Mary is a gift of God's love. The outpouring of His goodness gives her as a Mother to each of us. She is mother of the new life we receive in her Son Jesus, our life as children of God. This life involves her particular tenderness and closeness to each one of us. She is your mother and your intimate friend. Talk to Mary. Tell her your fears, your troubles, your questions, your hopes about life. Just talk to her, pour your heart out to her. Don't be surprised if she responds, in her own way. Mary will accept you as you are, and help you step by step. A friendship with Mary will give you two great things that you seek: She will help clear all the difficulties on your path to eternal life with Jesus. Mary is very practical; she understands your challenges, your struggles, your sensibility, your frustrations in all their details. Mary will help you; she will shape your way to Jesus. She will bring Jesus to your heart. That's what she does. She started doing it when she said "yes" to the angel, which allowed Jesus to come into the world through her womb. She gave Jesus to the world. She will give you Jesus, and deepen your relationship with Him. Talk to her in your heart as a person you know you can trust completely. The Church guarantees that this is true; the Church has promised down through the centuries: Mary will bring you to Jesus. That's the first thing. The second thing is also very important to you. Mary will teach you what it means to be a woman. Mary knows better than anyone that we live in a time when women are becoming conscious of their full dignity as human persons. Mary understands the aspirations of women's hearts today, especially young women. She will teach you to become the mature, dynamic, self-possessed and self-giving, fostering and nurturing, constructive and creative woman that you long to be. She will teach you. Mary wants to take you by the hand and mentor you, help form you into the woman God is calling you to be: free, conscious of your human dignity, responsive to God and willing to give the unique gift that is your self, with confidence and love. 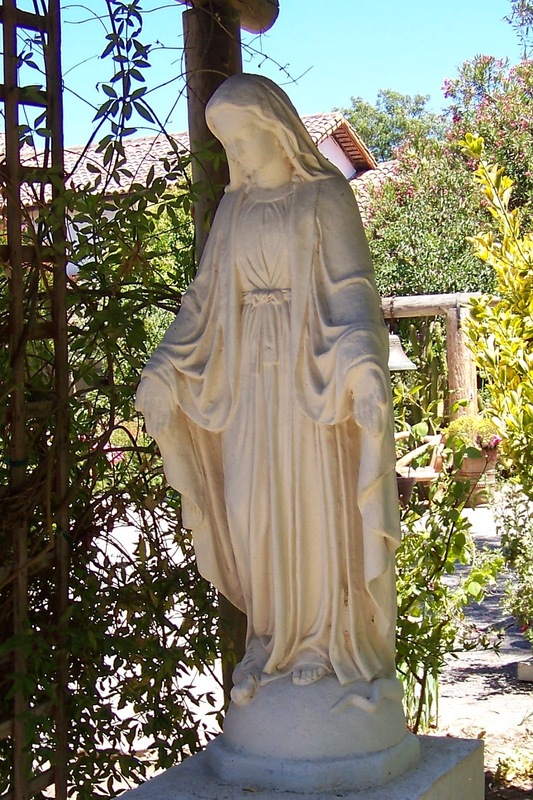 Trust Mary, confide in her, and let her know you and hold you in her heart.